Whether you are thinking of buying your first business or selling your existing company, the acquisition of a business can be a very stressful endeavor. Given the growing importance of technology and innovation to firm competitiveness, there is great gain to be made by acquirers that better integrate technology issues into their buying and selling decision making. The IT infrastructure of a company is a crucial part of Technology Due Diligence. 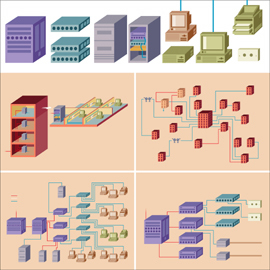 The implications of the IT infrastructure should be understood before buying or selling a company. Knowing the IT infrastructure of your own company or a company that you would like to acquire, gives you a practical feel for the overall IT function and allows you to evaluate how much value it adds to or takes away from the acquisition. Acquirers need to be secure that the IT infrastructure they are purchasing has no significant effect on the value and effectiveness of the acquisition. Companies that hope to be acquired, need to be prepared to ensure that the findings of the audit will not result in significant extra costs to the acquiring company to fix IT issues. The acquiring company must also decide how to integrate the acquired company’s IT infrastructure after the acquisition. If the two companies have incompatible systems, additional costs may be incurred in merging them. Ayoka is an experienced technology company that can provide Technology Due Diligence that will help acquirers to better realize value from the IT infrastructure they acquire. Whether you are thinking of buying your first business, or selling your existing company, we provide a complete technology audit to guide managers of acquiring or existing firms in evaluating the “IT health” of potential or current acquisition targets. This audit document will outline the “current state” as well as provide recommendations as to the “ideal state” of your IT infrastructure. This document also includes the strengths, weaknesses, opportunities, and threats that can guide your decisions about buying or selling. Minimize your risk and call us today!